As fantastic as physical game releases are on the Nintendo Switch, one common problem is delayed retail announcements. It can result in fans buying a digital copy of a game and then regretting their purchase when they hear a physical verision is on the way. Recently, a number of developers have made an effort to improve the situation, by arranging a physical release sooner rather than later. Image & Form is one them, announcing its upcoming role-playing card game SteamWorld Quest will receive a physical version, at some point after the digital launch. When the game does arrive "sometime later this year", it will cost $24.99 / €24.99 / £22.49. 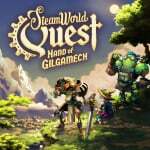 SteamWorld Quest is the fifth entry in the series, following on from SteamWorld: Tower Defense, SteamWorld Dig, SteamWorld Dig 2, and SteamWorld Heist. To find out more, check out our previous post. Will you be purchasing a physical copy of this game? Or do you plan to download it? Tell us in the comments. Later this year was not what I wanted to hear. However I just want it to be quality. I've got plenty to play until then. i rather hear that there will be a physical before i buy a digital game. props. I’ll probably be saving this to play at Christmas, so sometime this year’s fine with me, I’m just glad it’s getting a physical release. Now I just hope the Switch eventually gets the physical Steamworld Collection containing Dig and Heist that the PS4 and Wii U got. 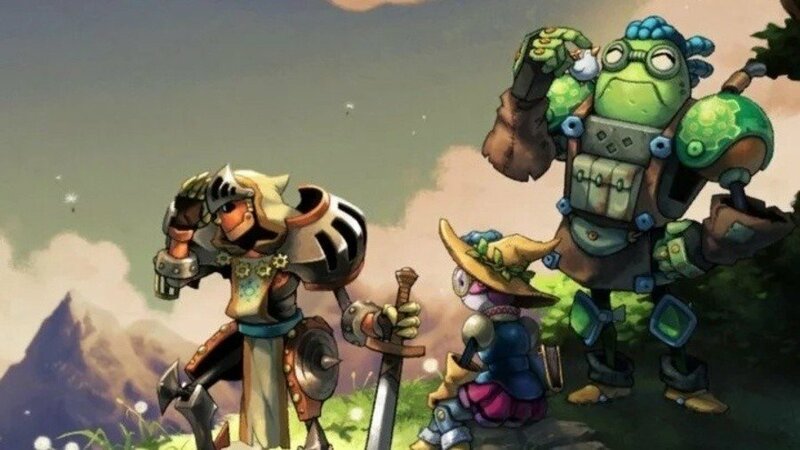 Don’t forget about Steamworld Tower Defense, still available on the eShop for 3DS! I prefer they release digitally first, release the DLCs, then the physical version after. I hate it when they release a physical version at launch the we get a DLC later. I want it all on cart. Nintendo Everything reported the Cuphead physical release an hour or so after the Nindie presentation. Absolutely glad to hear about this physical game prior to the digital release. Anytime prior to that and it's not a concern to me, but after the digital game is released is unacceptable in my eyes. @adh56 this comment is not to insult in any way, but why would you pre-order a digital game? The only time I could see pre-ordering a digital game is if it came with some type of bonus like how Nintendo doubles or triples their gold coins sometimes. But even that's not enough for me to justify pre-ordering digital content when I could just get the game after it comes out. Then again, I worry about a pre-release announcement such as physical releases so perhaps I'm a little more focused on knowing exactly what I get prior to purchase. @LordGeovanni @BensonUii Well I’m not on social media so I didn’t hear about the physical release till I read about on Nintendo Life later that day I think. And about the preorder, I only have internet through my phone hotspot and after 10gb it slows down to a drip. I was already going to the library to download another game and I just threw that in. I don’t usually preorder digital games esp that early but I definitely got caught up in the moment. As a Switch and PS4 owner, Cuphead is far and away the most wanted exclusive game I couldn’t previously play. I really recommend Nintendo Everything as your other go to Nintendo news site. They are usually updated with their reports and preorder updates and deals. I still go to Nintendo Life for their own contents and features. The more and more I get tired of changing out physical media, the more I am tempted to give up and go all digital. It really is kind of a pain with my entertainment center setup - especially the Switch. I feel like I would play certain games more if I just had them available on-demand. For example, right now I have Mega Man 11 in my Switch; but if I am in the mood for Mario Kart 8 Deluxe, or Smash Bros. or Splatoon 2, I have to take the game out, walk over to my entertainment center, put the game back in the box, pull out another game and put it in the Switch and then start it up. When I am done with that, I have to do the same thing and put Mega Man 11 back in my Switch for later. I can't have my entire Switch library sitting next to me every time I want to play a game. I am not a lazy person, but it does make me less inclined to "impulse play" certain titles. ARMS has vanished from my mind. I never even finished Splatoon 2's single-player campaign. I stopped playing Smash Bros. after unlocking all of the characters (admittedly using the reset trick) and haven't even finished World of Light. Mario Kart 8 Deluxe has MAYBE an hour's worth of playtime since I got it early last year. I find myself playing more indie titles on Switch because they are just there. When the mood hits, boom - it's there. So the temptation to go all digital with Switch is definitely strong for all titles. Double-dipping on the digital versions of the physical games I own is not an option. Anyways, it's cool this game is getting a physical release for those that love physical releases. @BensonUii Yeah I didn’t think about that, I don’t like that either. For example I really wish I could have had Joker on the Smash Ultimate cart, that would’ve been amazing. But as far as I remember, Image & Form have only released dlc once before with Heist, so as long as it doesn’t release with any bugs, there’s a chance it could be the full package.